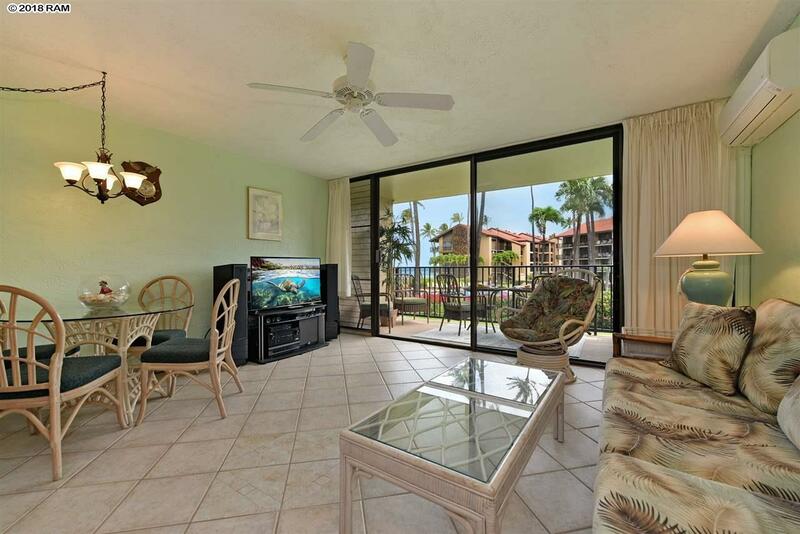 This private one bedroom one bath prime second floor location has great ocean, resort and the island of Molokai views. 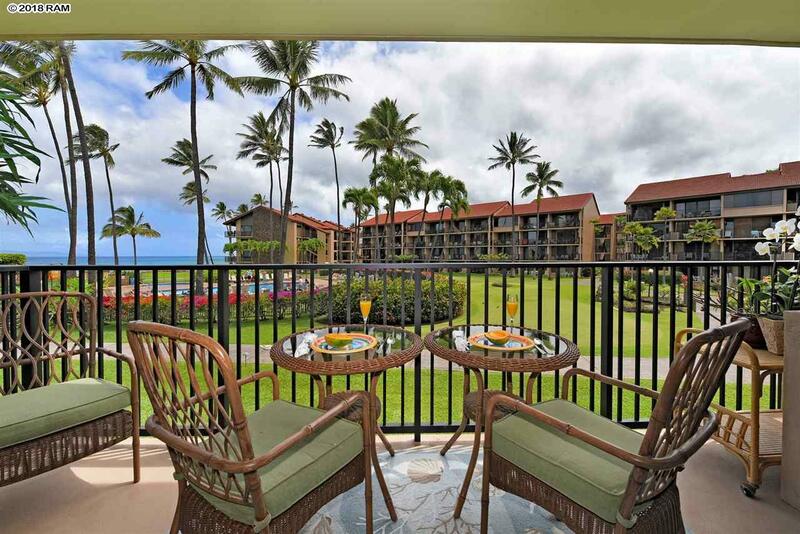 Papakea is a peaceful Hawaiian Style low rise resort situated right on the ocean just a short walk distance to three mile long N. Kaanapali Beach. 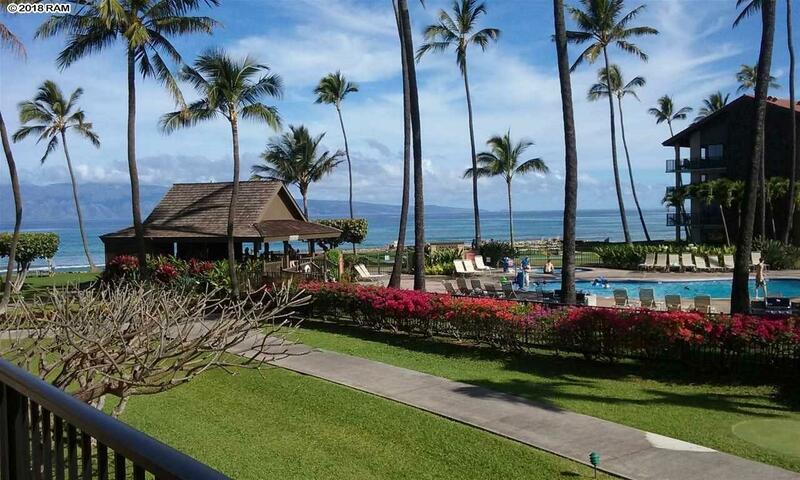 Papakea resort is a peaceful Hawaiian Style low rise resort situated on 13 acres right of oceanfront and just a short walking distance to 3 mile long N. Kaanapali Beach. The lushly landscaped grounds are immaculately maintained and adorned with red ginger and red palms. At dusk every evening the magical twinkling tiki lights are lit and reflect on the Koi ponds through-out the property. This turnkey condo is fully equipped and ready to rent at a premiumor have as your second home island getaway. 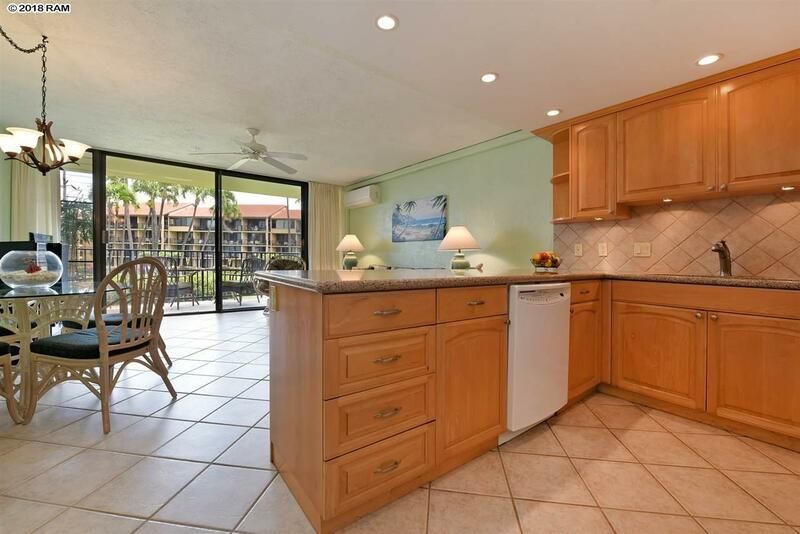 There are tiles floors in the living room and kitchen and granite countertops throughout. It stays nice in cool in the summer as the owner has installed two split AC system one in the living room and one in the bedroom. The amenities include two ocean side swimming pools, two tennis courts, putting greens, 24 hour front desk service, poolside barbecues, two hot tubs and shuffle board court. Papakeas location is as good as it gets!...within minutes, easy walk to Dukes restaurant, shopping center, Farmers Market, coffee shops, sandy beaches, snorkeling, surf, and more! Brand new stainless steel refrigerator, microwave, bosh dishwasher and range purchased in 2019. Listing courtesy of Coldwell Banker Island Prop(L). Listing provided courtesy of Coldwell Banker Island Prop(L). This information is believed to be accurate. It has been provided by sources other than the Realtors Assoc. of Maui and should not be relied upon without independent verification. You should conduct your own investigation and consult with appropriate professionals to determine the accuracy of the information provided and to answer any questions concerning the property and structures located thereon. Featured properties may or may not be listed by the office/agent presenting this brochure. Copyright, 1995-2019, REALTORS® Association of Maui, Inc. All Rights Reserved. Data last updated: 2019-04-26T06:06:43.103.